Senate Minority Leader Harry Reid spent much of a heated Monday speech on the Senate floor lighting into “Trumpet” Mitch McConnell and presumptive Republican nominee Donald Trump. 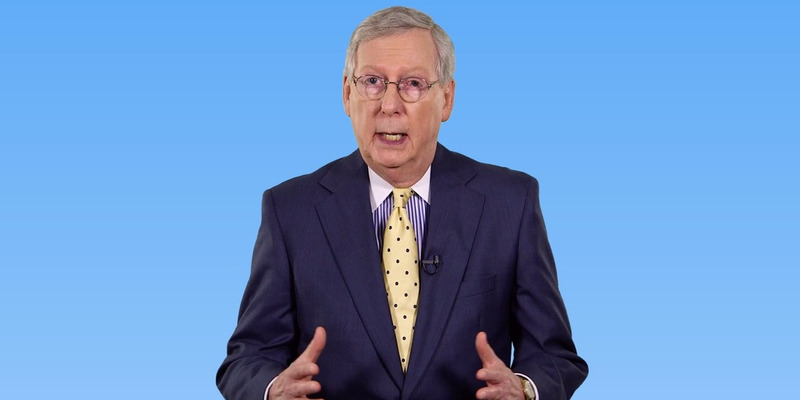 After calling the Republican “capitulation” to Trump complete, he chastised McConnell, the Senate majority leader, for leading a supposedly “pro-Trump propaganda tour” the week before. “And in the last 10 days it has become clear that Sen. McConnell will go to any length to support Donald Trump,” he continued. Reid lambasted McConnell for not explicitly calling Trump’s attacks against US District Court Judge Gonzalo Curiel racist during a Sunday “Meet the Press” interview. Trump has repeatedly insisted that Curiel’s Mexican heritage makes it impossible to rule fairly in a Trump University case over which the judge is currently presiding. Curiel was born in Indiana, but Trump has suggested Curiel’s background has made him impartial because of Trump’s vows to build a wall along the US-Mexico border. Trump later said it was “possible” that a Muslim judge, too, would not be able to preside fairly over a case involving the presumptive nominee because of his proposed ban on Muslim immigration. In a Sunday interview on NBC’s “Meet the Press,” McConnell said he “couldn’t disagree more” with what Trump has said about Curiel. But McConnell would not call the attack “racist” when pressed repeatedly by host Chuck Todd. “Sen. McConnell and all congressional Republican leaders have never taken a stand against Trump’s vile rhetoric,” Reid said. 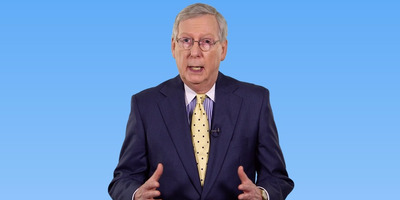 “By refusing to denounce Trump’s attack on a federal judge for the racism it clearly connotes, it shows Sen. McConnell is the poster boy for Republicans’ spinelessness that allowed Donald Trump to be the Republican nominee for President of the United States,” he continued. Reid went on, insisting that McConnell was “too busy being a trumpet for Trump” to work on any legislative matters. He also said there are many more questions for McConnell to answer after dodging the question of whether Trump’s attacks against Curiel are racist. In McConnell’s newly released memoir, he dedicated a passage to his longtime Senate counterpart.